Nailed it!! You're at the top 3%!! Way to go!! You're at the top 3% of American women!! Aside from having exceptional memory, you are most likely a 'Thinking Reader'. You identify structures in texts, create mental notes, and anticipate 'the next move'. You get lost in books (in a good way). You visualize the scenes as you read, you think on many levels, and you come out of the reading experience with a sense of accomplishment. Are we spot-on? Do you consider yourself a 'Thinking Reader'? Let us know, and share the quiz with your female friends. 97% of the women who took this test failed it. You totally flunked!! 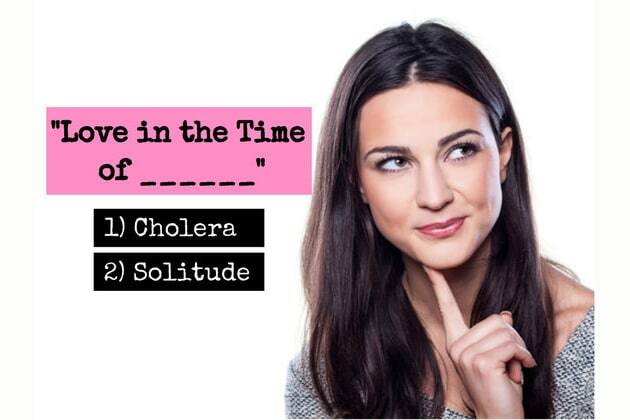 Try again, and share the quiz with every woman you know.